Air Canada is up with plans to operate direct flights from Vancouver to New Delhi soon. It will be Air Canada’s second direct service to India from Canada after the launch of direct Toronto-Delhi flights in November 2015. The airline has proposed to initiate the direct Vancouver-Delhi service with three weekly flights from October 20, 2016. This new route in Air Canada’s global service network will be operated by Boeing 787 Dreamliner with 30 seats in business class, 21 premium economy seats and 247 seats in economy travel cabin. Air Canada flights will leave Vancouver for New Delhi on Tuesdays, Thursdays and Saturdays. Return flights to Vancouver will depart Delhi every Monday, Thursday and Saturday. 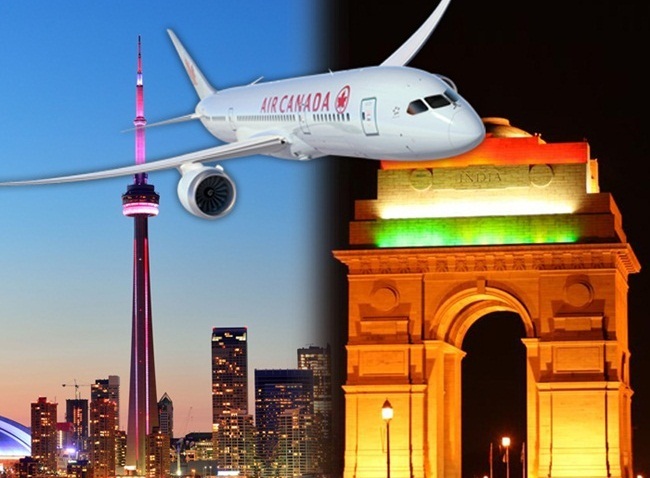 Since the inauguration of Toronto-New Delhi nonstop flights, Air Canada has made a good number of bookings at cheap airfares through international travel agencies like Indian Eagle. Such an extremely positive response from passengers drove the airline to hit another route to the capital of India. The proposed date of launching flights from Vancouver to New Delhi is a strategic move in sync with Diwali, a major Indian festival, when many Indian expats fly to India for celebrations. Air Canada’s nonstop B787 Dreamliner flights from its Vancouver hub will connect Edmonton, Calgary, Seattle, Portland and Los Angeles with Delhi, according to Benjamin Smith, President of the airline. “The local community of Indian expats in Vancouver has requested a direct service to New Delhi for many years. The inception of Vancouver-Delhi nonstop route during Diwali will be a celebration for them,” says Craig Richmond, President and CEO at Vancouver International Airport. He also thanks Air Canada for this initiative towards their mutual vision of expansion in the South Asian market.